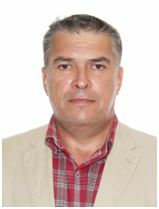 Full name, date of birth: Belyaev Alexander Viktorovich, June 02, 1967 of birth. Work experience: total work experience – 34 years, teaching experience is 11 years. From 2017 to the present – Senior Lecturer at the Department of Transport Engineering and Logistics Systems. Items read in the academic year: Production operation of technological machines.